Gala Pa More! 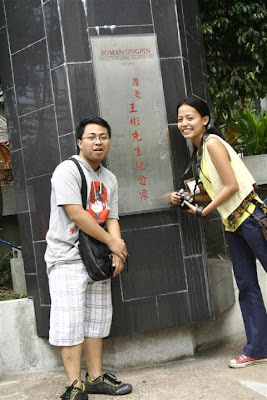 : Throwback Travels II: Ho,ho Binondo! A Yummy Escapade! Throwback Travels II: Ho,ho Binondo! A Yummy Escapade! 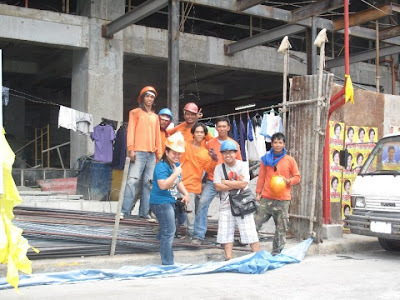 (4) Had our photos taken together with Binondo’s local people – vendors, construction workers, and storeowners, among others. 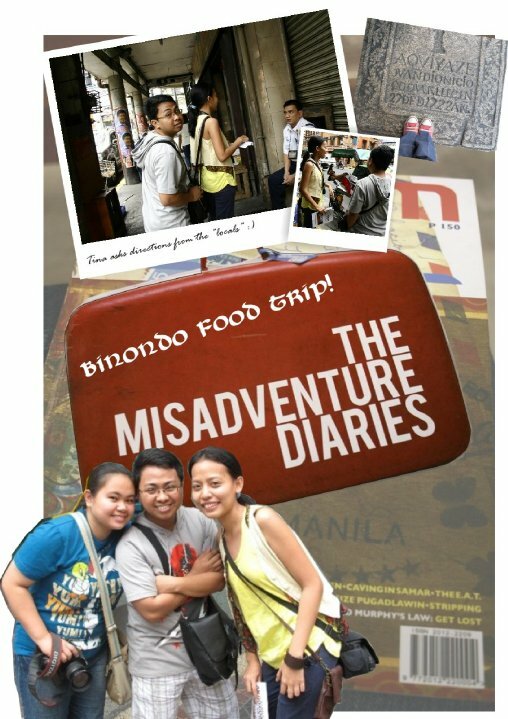 After doing all these stuff, we’re all set to our Binondo adventure! 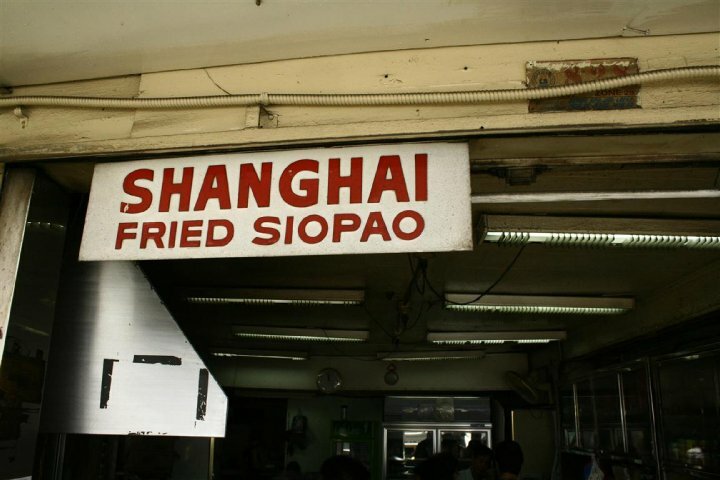 Situated along the edge of a grimy rivulet traversing Binondo, is a strip of food stalls offering a wide selection of dishes, ranging from the usual to the exotic. 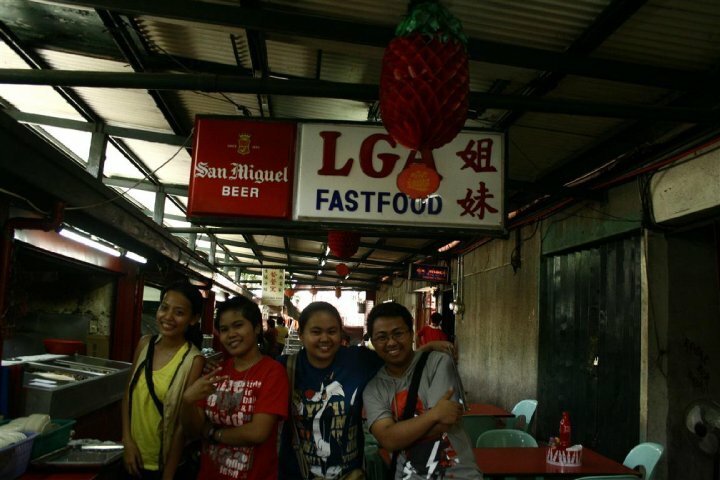 We decided to have our first taste of a Binondo dish at LGA Fastfood located at the end of the strip. We ordered for Sizzling Frog Legs at P 180 per plate, which was cooked on the spot. We waited for 10 minutes for the dish to be cooked. And when it was served, it was really smokin’ hot! 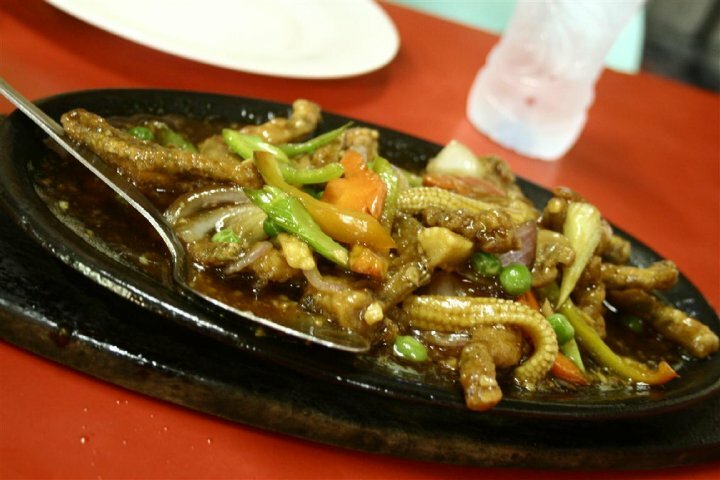 Though quite salty, the food tasted good – creamy sauce, crunchy green peas, young corns and bell peppers mixed well to produce a distinct flavor. Oh, and the frog legs actually tasted like those of chicken’s! To neutralize its saltiness, we ordered for and shared a cup of rice. Where did they get the “frogs”? We hoped not from the waters nearby! Add a can of Royal True Orange (P25), a can of Sprite Zero (P25) – that was the first time I learned of this variant – and a bottle of mineral water (P15), we spent P 255 in all. When divided by three, each spent around P85. Beware of a woman sweepstakes ticket seller who would approach you, tell you some dramatic stories (about her sick child, etc.) and persuade you to buy couple of tickets from her. Once you agreed to buy one, which should only cost P20, as printed on the ticket, she would scratch the ticket (yes, she wouldn’t let you feel the “excitement” of scratching the card yourself) and would say that you should pay her P30! Profiteering, huh! Well, I was a victim – but I only paid P25, instead of P30. Along Bahamas St. is Shanghai Fried Siopao, a small food shop selling dumplings. I liked the taste of their siopao which only cost P16 each. The siopao was very tasty that it can be eaten even without the sauce! The distinct taste stays in your mouth, making your purchase really “sulit”. What I didn’t like though was their customer service. The sellers were not very friendly and the owners would not let us take photos despite saying that we would write a feature article about them in a magazine. An old, midget man happily posed with us for a photo op. After some shots, he begged us to give him copies of the pictures once “developed” (apparently, he saw no difference between a “film camera” and a “digital camera”). Tina admitted that she’s not a lumpia-eater, but for the sake of this food trip, she would grab some (Oohhh…you’re such a sweet doll, Tina!) Along Ongpin St, the long stretch famous for the glimmering golden jewelries, we found New Eastern Garden, a small restaurant that claimed itself as the home of the best fresh lumpia. 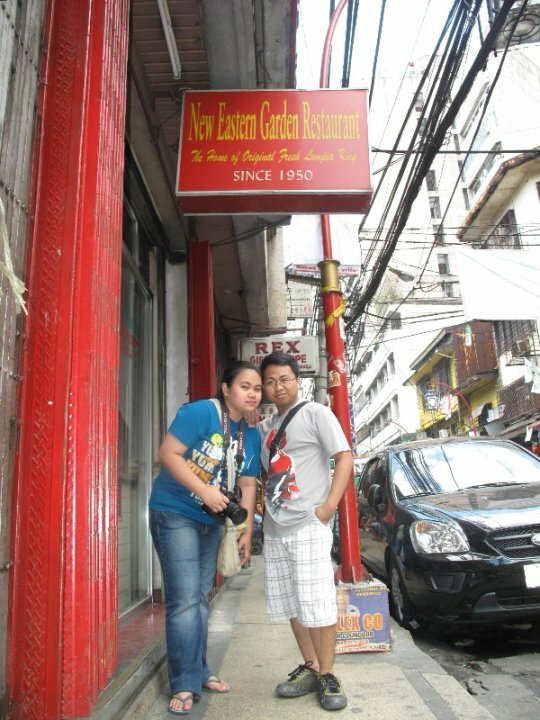 We ordered for two Jumbo Lumpia with Seaweed for P47 each. 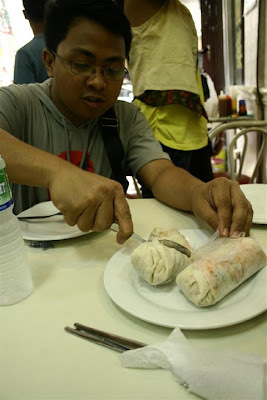 What made their lumpia different from those that I’ve tasted before were the finely chopped ingredients and of course, the seaweeds! I noticed that they did not combine the peanuts with the sauce, but rather mixed and wrapped them together with other ingredients. Add the cost of our three bottles of water for P15 each, we spent around P43 per person. Tina personally said her goodbye to the owner, whom she found cute! A woman whom we requested to take our photos when we’re at Shanghai Fried Siopao referred us to Delicious Restaurant, a restaurant that, according to Dian, has been there for the longest time. She remembered that she had eaten at Delicious when she’s still a kid. But of course, at age 24, she wouldn’t know the difference between the taste of the food then and now. To be true to its “bragging” brand name, the food MUST be really delicious! Delicious rather looks like your typical/everyday side street carinderia. Its humble, non-intimidating appearance is probably the reason why people gravitate towards it. 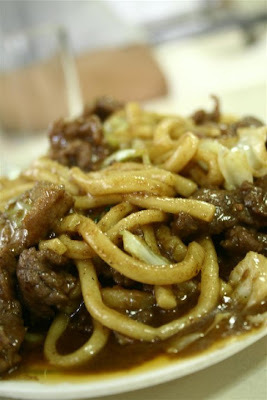 We ordered for Sate Beef Chami that cost P 130 per small serving. Well, we picked the dish out of curiosity, as nobody among us knew what it was. The “small serving” was relatively big (good for 3-4 persons), and the flavor was very rich – it’s beefy, saucy, quite salty, and spicy. One has to eat this with rice or bread to “tame” the taste. Each spent around P44 for the succulent plate of chami. The sweepstakes woman was there again and passed by us, as if we never had an encounter earlier! She went straight to other diners and performed her “pity me” acts. Our fifth and final stop was at Tasty Dumplings, the cleanest and coziest place we stayed in so far in Binondo. I was quite hesitant to enter the restaurant because the “cleanliness” might be equated to “pricey-ness”. But I was wrong. 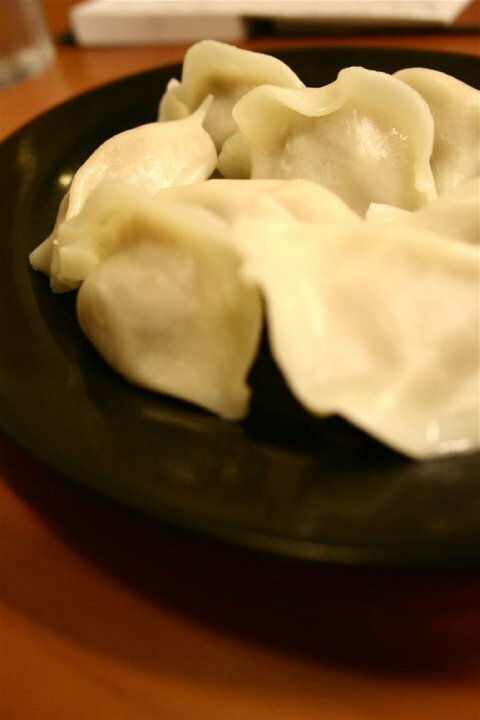 Tasty Dumpling offers an affordable selection of food, as written on their menu list. 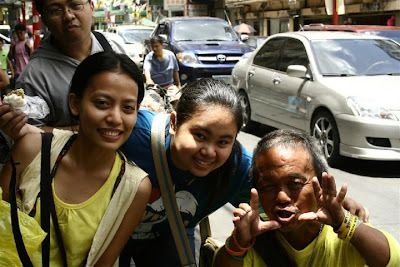 For P99, for example, one could already have a complete meal (rice + viand, without drinks). 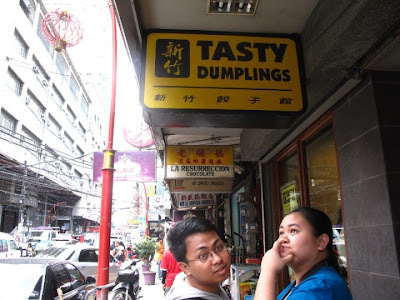 Because we’re still full, we just ordered for 8-piece siomai for P70. 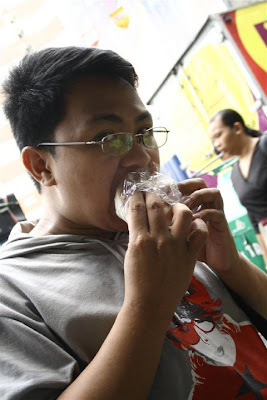 As a “siomai person” what I didn’t like about their siomai was the wrapper, which, I thought, was “too thick” that it overpowered the taste of the stuff inside it. 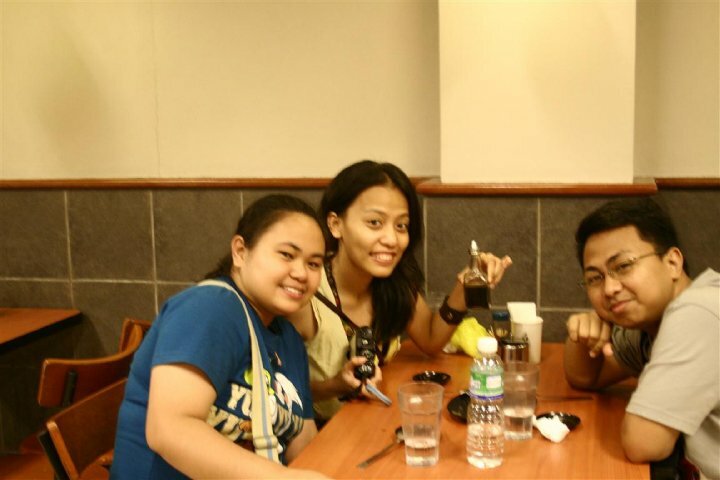 Dividing the cost among the three of us, each spent around P24. To "sio-mai" love for you! Indeed, our Binondo Escapade was both exciting and educational. 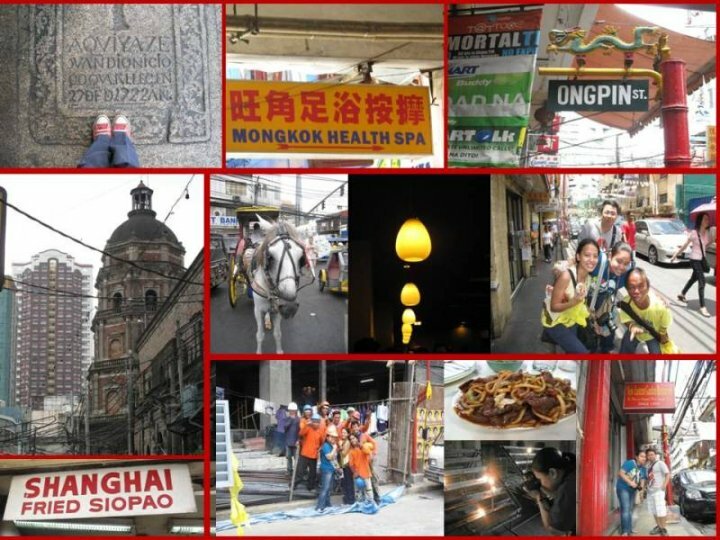 We’re able to appreciate the vibrant beauty of Binondo and discovered its gastronomic wealth.